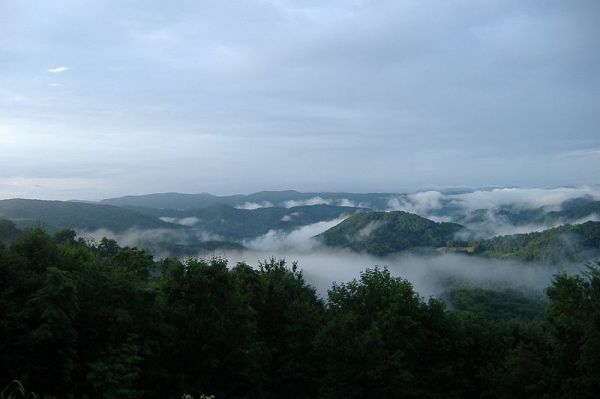 Roan Mountain, along the border of Tennessee and North Carolina, rises to 6,285 feet long its five cloud-capped peaks. There are numerous legends of the supernatural associated with the mountain, the most prevalent being the ghost choir. Since the early 1800s, people have heard etherial singing in the higher elevations, sometimes described as heavenly music and sometimes as demonic shrieking. People who live in mountainous areas know that a combination of strong wind, rocks, trees, and open spaces can produce natural music, and with a dose of imagination, it can sound like a ghost choir. But that’s far from the only ghostly legend about Roan Mountain.